Shangrila Mall | Badudets Everything Nice! I accepted an invite to join the Zumba classes at JNA Dance and Fitness Center at Shangri-la Mall together with my blogger friends. Zumba is a very popular dance workout and I know some people who just watch the videos on Youtube and follow the steps in their own homes. 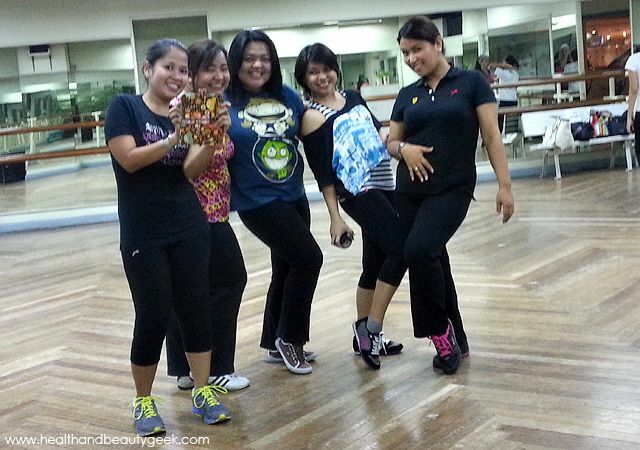 But for me, Zumba is best enjoyed when you’re in a group and dancing in the studio with energetic music. Jeff and I left early from work at 2 pm and headed to Ortigas area to meet someone. 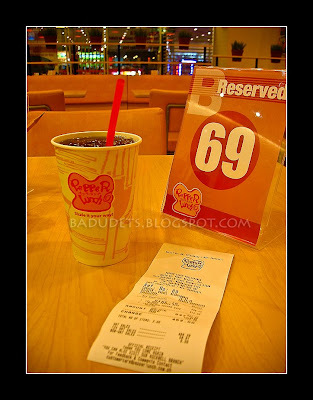 But before we head to San Miguel Avenue, we were on to our target at the lower basement of Shangri-la Mall, Pepper Lunch! Yes, you read that right, Pepper Lunch opened its second branch aside from Powerplant Mall in Rockwell. 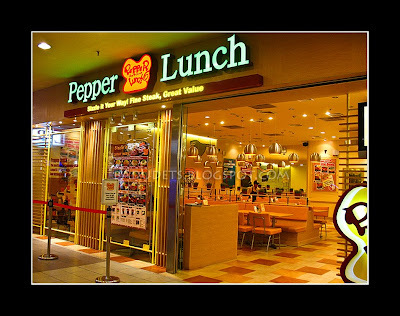 We intended not to eat lunch at the office to savor our first taste of Pepper Lunch. The store is well-lit and spacious, there were 3 or more group of diners inside Pepper Lunch.We were greeted at the entrance and led us to the counter where we chose our orders. 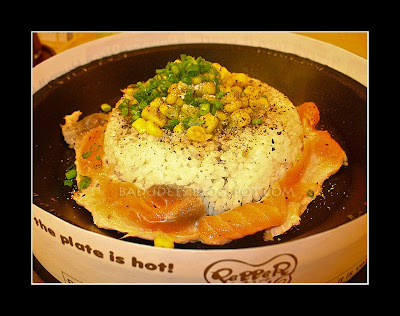 Knowing what to order, from bloggers’ recommendation, we ordered Beef Pepper Rice (Php 235) and Salmon Pepper Rice (Php 312). Each meal comes with drinks but they also have ala carte meals which is a bit cheaper. A few minutes later, we already heard the sizzling sound and true enough, the Beef Pepper Rice was served. The server offered to mix it for us but we declined because we took photos of it first. It’s piping hot, smoke comes out from the plate and I can smell the peppery taste. I’m starting to feel hungry, soon enough, my Salmon Pepper Rice was served. I am almost tempted not to cook my salmon because I can see that it’s fresh and the salmon is in its most pink color. 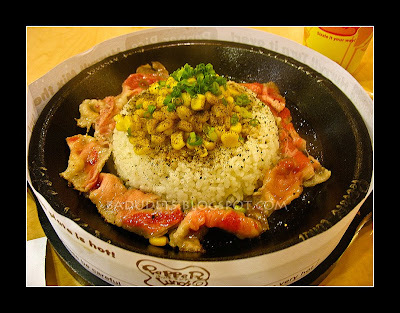 What’s exciting about Pepper Lunch is you get to cook your own food your way! Make it well-done, medium-rare, it’s your call. “Sizzle it your way!” Season your meat or fish with the honey brown sauce or garlic soy sauce according to your taste. Another secret is to mix it immediately after serving, at the center of the plate, there’s a surprise butter sauce, spread the love all throughout the rice and the veggies. Be careful though, the plate is heated up to 260 degrees Celsius so be careful when mixing. 1. You can cook both sides of your steak on the plate as the beef is raw. 2. 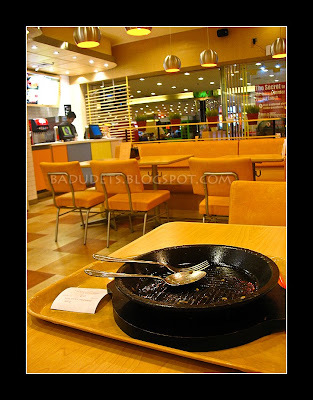 When the steak is ready, please put a steak sauce (Amakuchi or Karakuchi/Honey Brown Sauce or Garlic Soy Sauce) on it. 3. 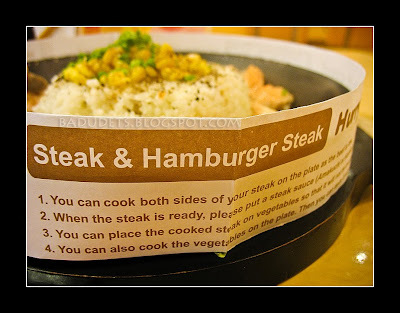 You can place the cooked steak on vegetables so that it will not be overcooked. 4. You can also cook the vegetables on the plate. Then you can taste it with a steak sauce (Amakuchi or Karakuchi). I can’t determine what makes my order so delicious…. is it the fresh salmon? the perfectly cooked Japanese rice? the sauce? the patented sizzling plate? or the pepper perhaps? I don’t know, maybe it’s the excitement of preparing your own dish and seeing it transform from uncooked to perfectly cooked. 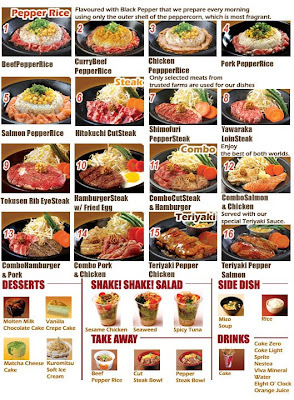 I would give Pepper Lunch a perfect score in the taste department. 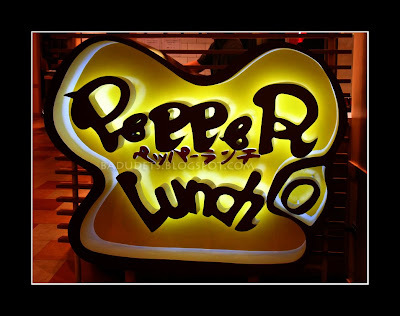 Pepper Lunch has branches at Power Plant Mall, Rockwell and Shangri-La Plaza Mall.